Jamie Bautista returns to state for the Olympia Bears. For Jamie Bautista and Ty Gentry, it’s a been there, done that moment. 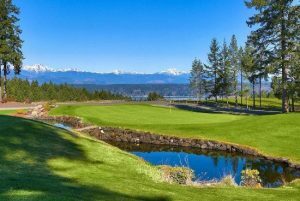 Despite their youthfulness – Bautista is a sophomore at Olympia High School and Ty Gentry is a junior at Tumwater High School – they’re veterans when it comes to qualifying for state. Both placed at state last year. 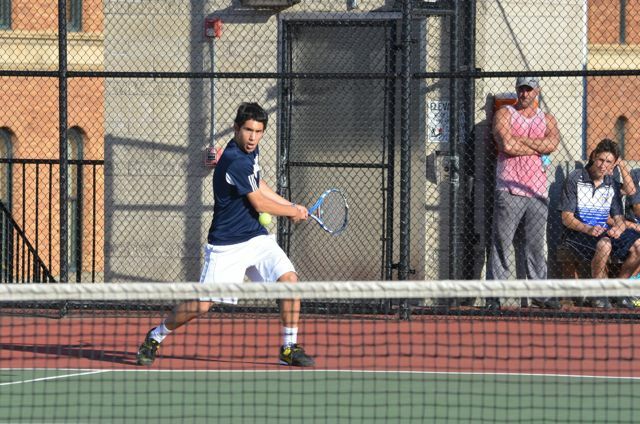 Bautista, the district singles champ the past two years, took sixth at the 4A state tournament. Gentry won the 2A state title and is looking to repeat. 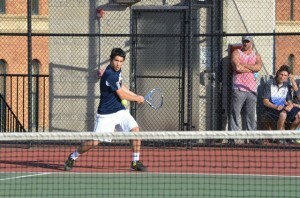 Olympia High School’s Ryan Adams is back at the state tennis tournament in singles. Bautista’s winning formula is simple. He’s intense. He doesn’t take points off. Bautista is both a power player and a finesse player. He can stand on the baseline, blasting forehands and backhands and he can charge the net, slipping in a game-winning drop shot. “He has it all,” Bailey said. Sometimes repeating as a state champ can be harder because of the pressure of expectations. But Gentry isn’t easily rattled. Gentry’s experience in big matches gives him an edge. “Ty is a great athlete and he’s a great competitor,” Click said. 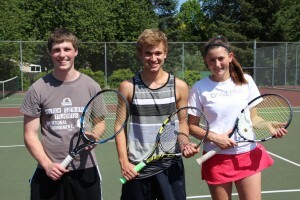 Tumwater’s Devin Reich, Cole Holbrook and Laina Boughal qualified for state in tennis. Olympia, with four players qualifying for state, has a good chance at placing high again after taking second last year at state. Besides Bautista, Ryan Adams also advanced in singles. In doubles, Kyle Wooten and Will Berghoff are both going and are also likely placers. In the first round, Adams, a junior, faces Colton Reed of Mountain View. Adams beat him last fall. As a freshman, Bailey said Adams was about 5’2″. Now 5’8″, Adams has added some pop to his game. Wooten and Berghoff are no strangers to the state tournament. This is their third trip to state and they placed fifth last year. After placing sixth at state a year ago, Olympia’s Kyle Wooten and Will Berghoff are return to state. Tumwater, which tied Chehalis for the league title, advances three to the boys 2A state tournament. Besides Gentry, Devin Reich and Cole Holbrook advance in doubles. It’s the first trip to state for Reich and Holbrook, who are juniors. They played singles in a few matches this season, but they played mostly doubles. It’s Reich’s first year of playing doubles and he had to adjust. He said the key to playing good doubles is simple. Communication with your partner is also key. “In doubles you always want to attack the net,” Reich said. Holbrook has been playing doubles for three years now. There’s a strategy difference in playing singles and doubles. The state tournament is the moment they’ve been working toward all year. Getting to state isn’t easy. But Click said the trip back to state for a second time might be more likely. 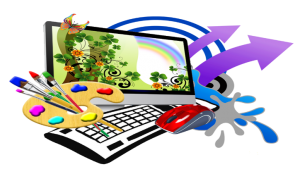 Gentry is certainly someone who is willing to put in the practice. He plays year around and doubles up during the winter when he plays basketball for the T-Birds. Click said Gentry is especially good at adjusting his game according to his opponent. Gentry can blast game winners from the baseline, or he can hit them from the net. And he’s got that knack for delivering that ace serve. 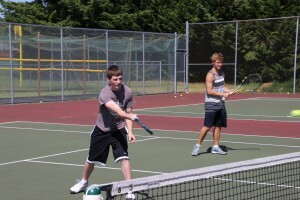 Tumwater’s Devin Reich and Cole Holbrook reached 2A state in doubles. Gentry is hoping it all adds up to another state title. Here’s a list of the Thurston County area boys and girls state qualifiers. 4A – singles: Angela Schuster, Timberline; Sydney Pham, Olympia; doubles: Tiffany Barker-Audrey Berghoff, Olympia. 3A – singles: Ainsley Winterround, North Thurston; doubles: Alexis Gjurasic-Annie Jia, Capital. 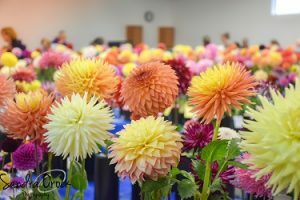 2A – singles: Laina Boughal, Tumwater. 1A – doubles: Erin Engebreth-Natalie Hall, Tenino. 4A – singles: Jamie Bautista, Ryan Adams, Olympia. 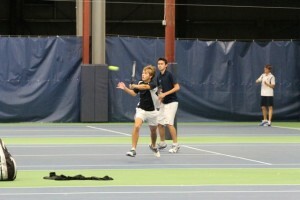 Doubles: Kyle Wooten-Will Berghoff, Olympia. 3A – doubles: Travis Miller-Ranjan Sharangpani, Capital; Josh Brick-Joonick Ahn, North Thurston, Michael Campbell-Thomas Sui, North Thurston. 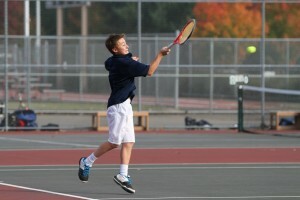 2A – singles: Ty Gentry, Tumwater; doubles: Devin Reich-Cole Holbrook, Tumwater.